The Recreation and Public Works Departments organize a citywide clean up each Spring and Fall through the “Keep Casa Grande Beautiful” program. 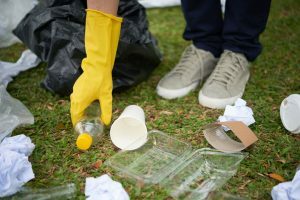 The bi-annual clean-ups are held each April and October and organizations that are members of the program are required to participate in them. At each of the clean-ups reflective safety vests, trash bags and breakfast is provided for all participants. The City’s Sanitation Division will be picking up all bagged trash on-site. Participating organizations receive a sign and placard designating their area of responsibility on the street they have adopted. The clean-up will begin at 8 am and go to about 11 am.